YOU’LL BE ON YOUR WAY TO STREAMING GLORY. 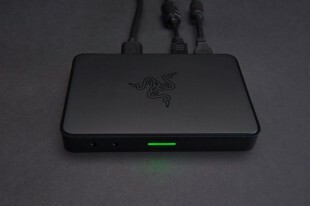 Looking to get started streaming or a get a boost to your setup? 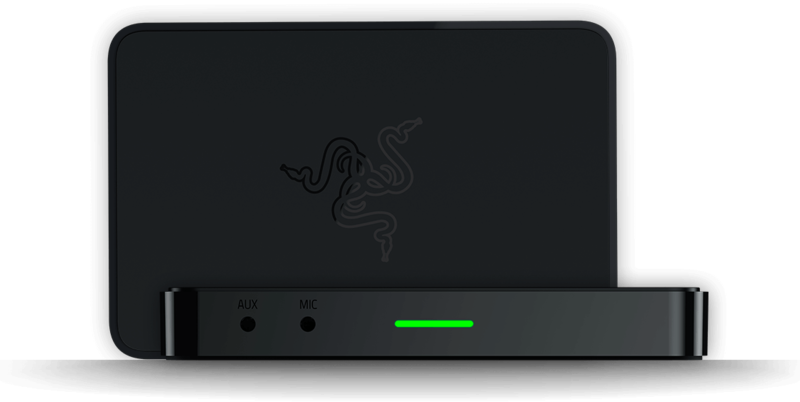 Razer Ripsaw works best with any of the following streaming software below. 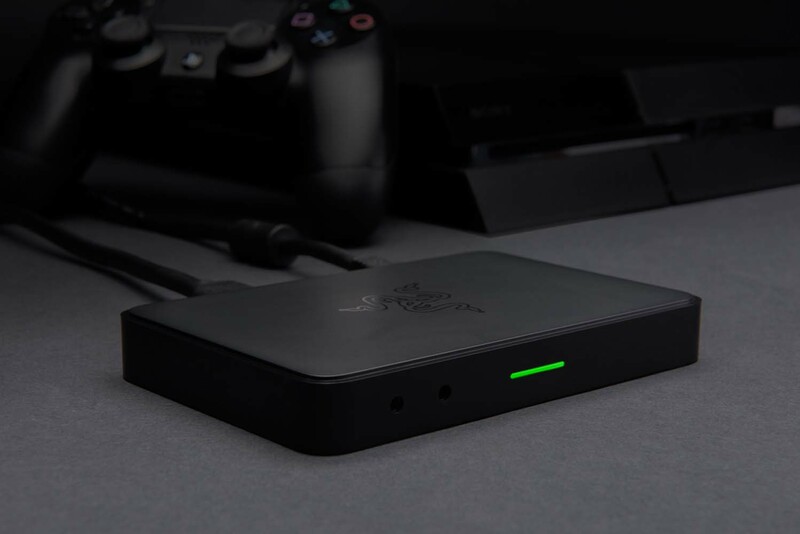 Lets you easily stream and record your greatest gaming moments at the click of a button. Note: Free with paid-for upgrades. 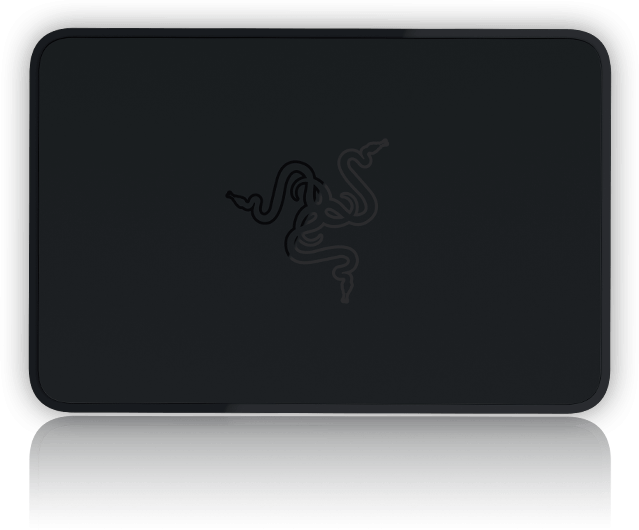 * Discount via the Razer Supported Streamer Program. Learn more here. 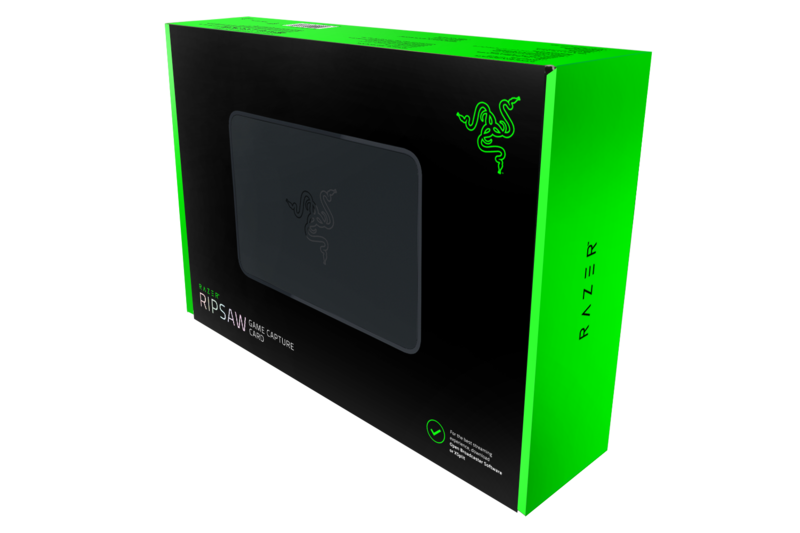 Get your Razer Ripsaw today and become the streaming god you were destined to be. ©2016 Bethesda Softworks LLC, a ZeniMax Media company. FALLOUT, BETHESDA and related logos are trademarks or registered trademarks of ZeniMax Media Inc. or its affiliates in the U.S. and/or other countries. All Rights Reserved. 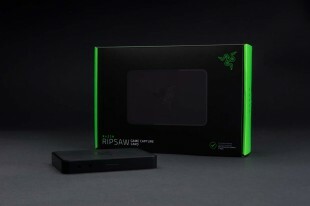 Congratulations for setting up your Razer Ripsaw game capture card. 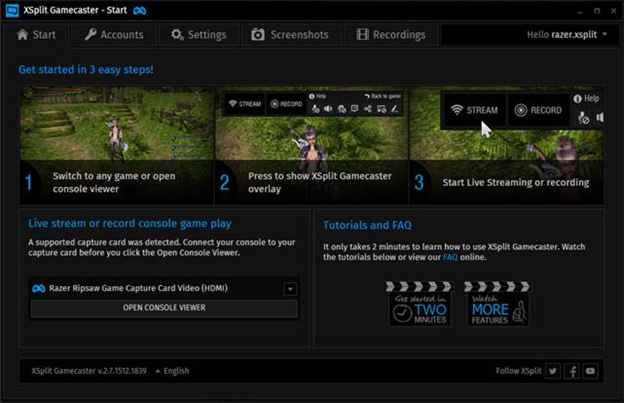 Now it’s time to set up OBS – 10 simple steps to getting started streaming on Twitch! Download OBS on your streaming machine. It’s recommend you get the Classic version. Go ahead and install it. Right-click on the OBS shortcut and run it as admin. 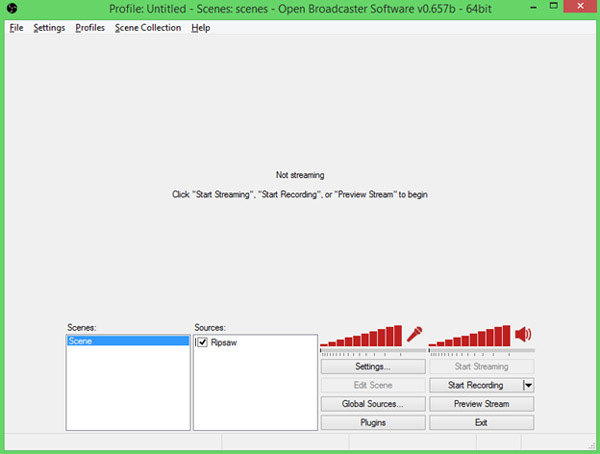 This is so as to let OBS make full use of your PC’s drivers and processes. 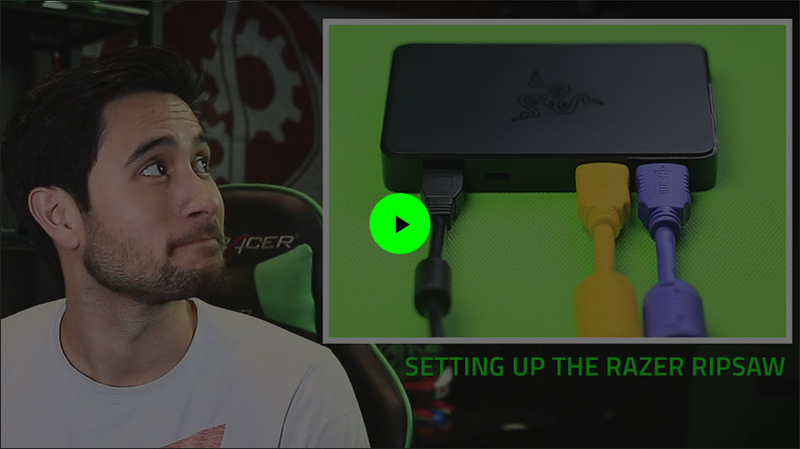 Make sure your streaming machine’s graphic card is selected under Video Adapter. 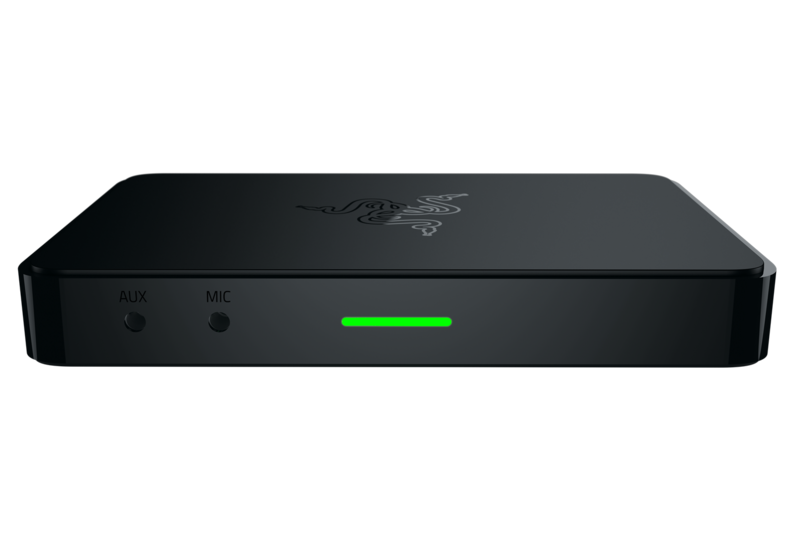 1080p60 – you’ll need a streaming machine with a beast of a CPU for this one. In addition, best only if you’re a Twitch partner. 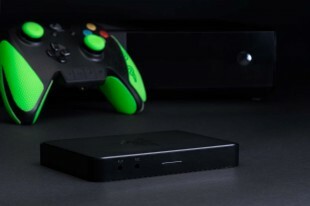 The reason for this is if you’re not a Twitch partner (yet), you’ll be lower down on Twitch’s priority list to receive more streaming bandwidth on their servers – viewers of your channel will suffer as they won’t get to change the viewing resolution (high, medium, low) and will end up getting very choppy streamed content as you try to force the highest res and framerate across the servers. 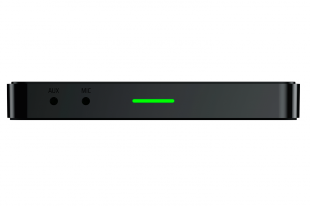 Lanczos (best detail, 36 samples) – rule of thumb is to select this if you believe your streaming machine can handle it. It improves the quality of the stream. 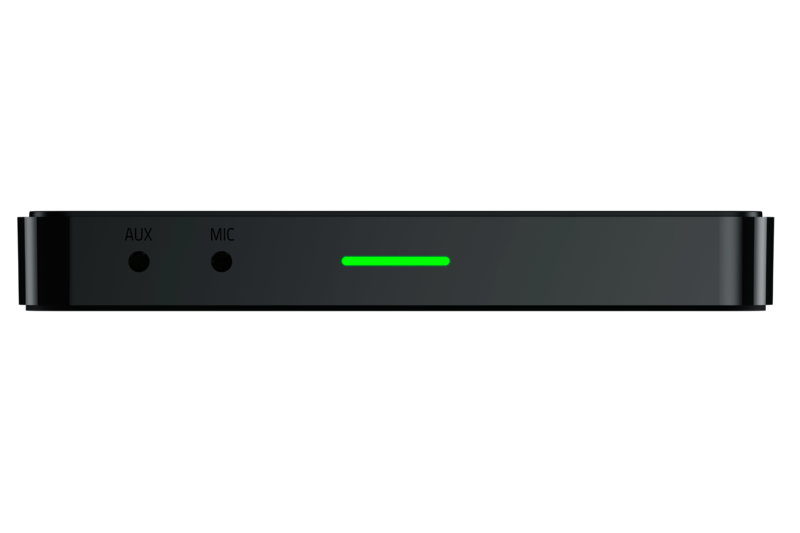 Bilinear (fastest) – if you are unsure, or know that your streaming machine can’t handle it, just leave it on this setting. FPS: when to set at 30 and when to set at 60? While the Razer Ripsaw is capable of up to 1080p60 streaming, it is dependent on if the streaming machine is capable of handling such data transfer. Otherwise it is recommended you downscale the resolution to 720p, or run 1080p30. Encoder: make sure this is set to x264 which uses your streaming machine’s CPU rather than GPU for processing. Max Bitrate (kb/s): this is dependent on your internet connectivity and the type of game you’re playing. 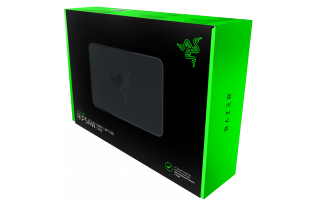 Generally, the recommended max bitrate is 2000kb/s – which is well within range of Twitch’s 3500kb/s. 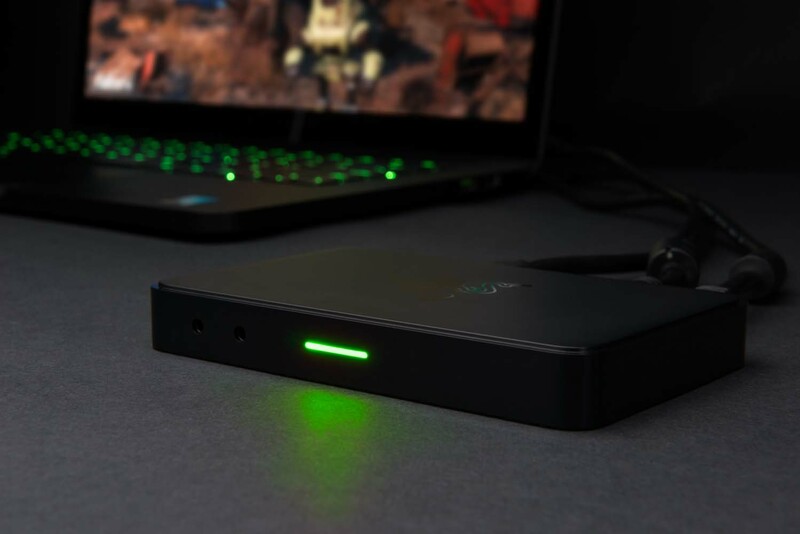 The higher you put the max bitrate the better but if you’re playing a multiplayer game, keep in mind your internet connection has to share bandwidth between the game and the stream upload. Always good to leave 30% of your max upload rate to the game. Determine this by running a speedtest. Bitrate: change this from 96 to 128 for better quality encoding. Go to Advanced. Most of the settings here can be kept as is. If you use your streaming machine for nothing but streaming, then you should check the Use Multithreaded Optimizations box, and set the Process Priority Class to High. X264 CPU preset – generally the “faster” default is fine, but the rule of thumb is, if you have a slower processor, the faster the preset – so you can try superfast or ultrafast but stream quality will take a hit. Stream key: once you’ve signed up with a Twitch account, you’ll be able to obtain a stream key from there. A red warning message may show up below – if it does, it means one of the settings in OBS is off, and you can go ahead and make the required change or press the Optimize button to fix it. Otherwise you’re good to go. 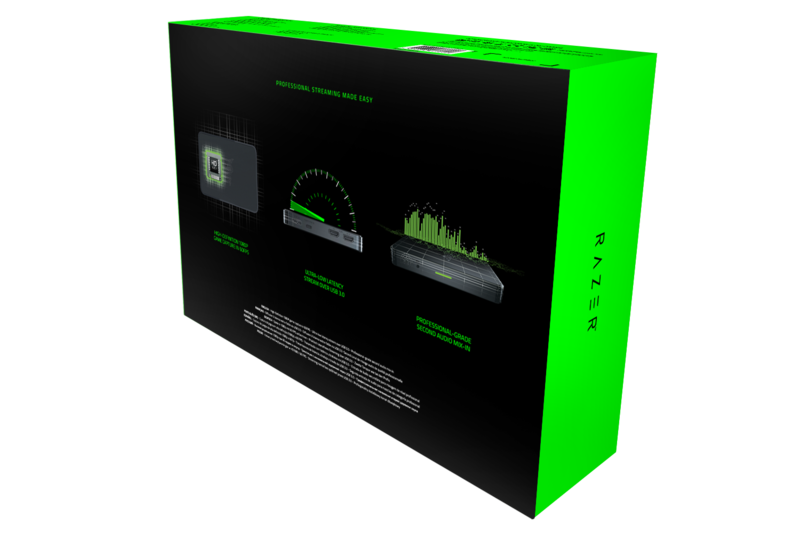 Then go to Encoding > Max Bitrate (kb/s) and change it to anywhere between 5 – 6000kb/s. Why? This is because for local recording, this means that at 6000kb/s, 1 sec of footage = 6mb. 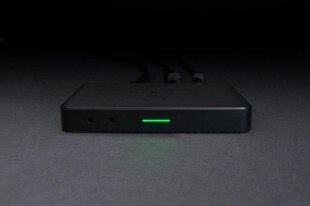 So this is dependent on your local hard drive space, something to keep in mind if you intend to record lengthy footage. A new dialog box called “Device Selection” will pop up. 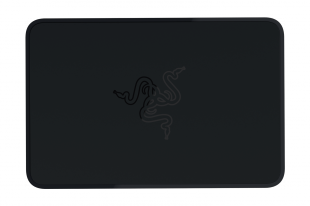 All you have to do here is make sure to choose “Razer Ripsaw” under Device up top. 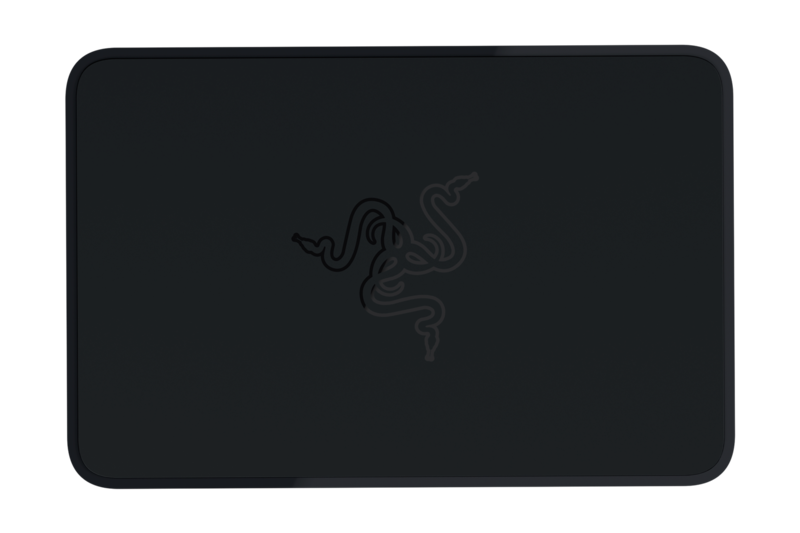 Head back out to OBS main screen. This should be it! 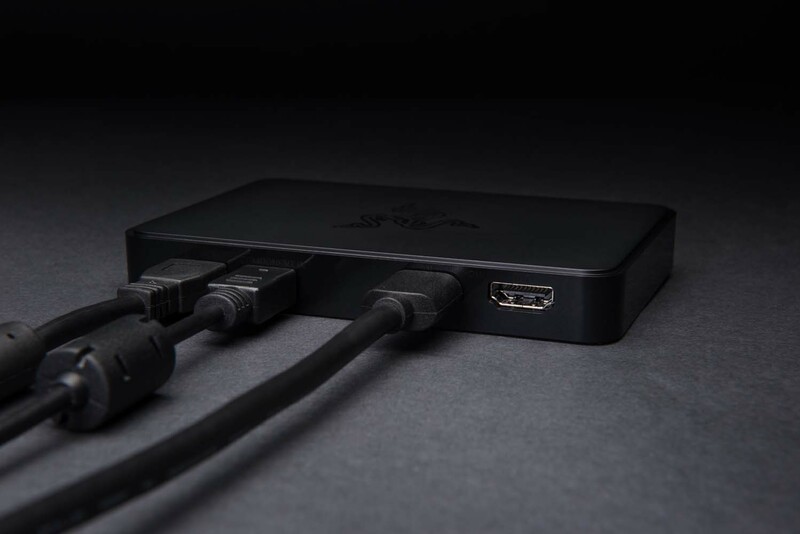 Now, all you’ve got to do is Preview Stream to “test” that everything is working. 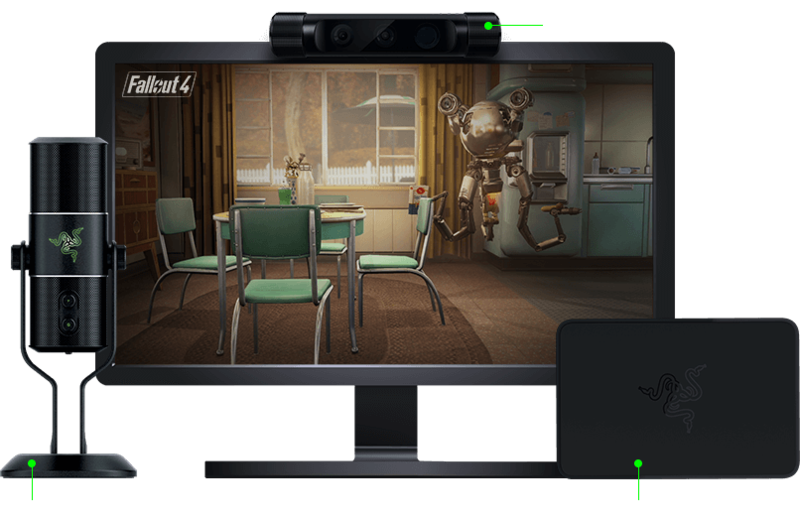 And if it is, you should see the screen from your gaming setup mirrored in OBS. If everything looks good to you, hit the Start Streaming/Start Recording button and you’re LIVE! 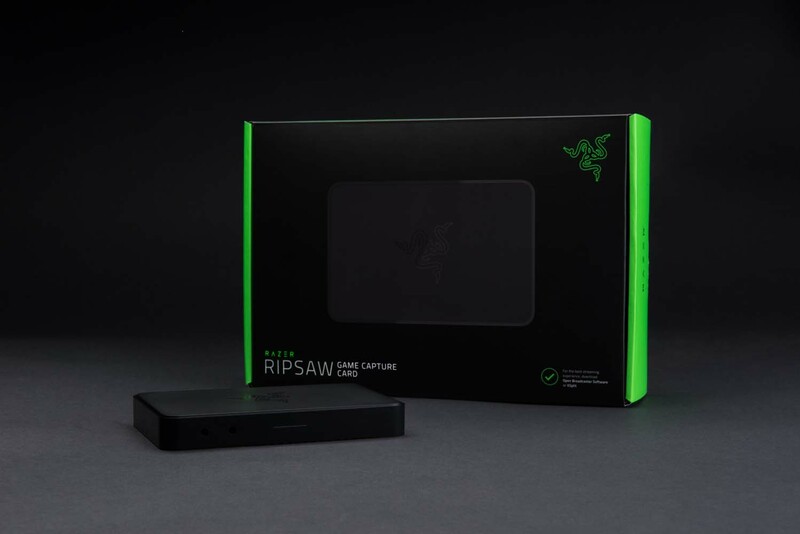 Congratulations for setting up your Razer Ripsaw game capture card. 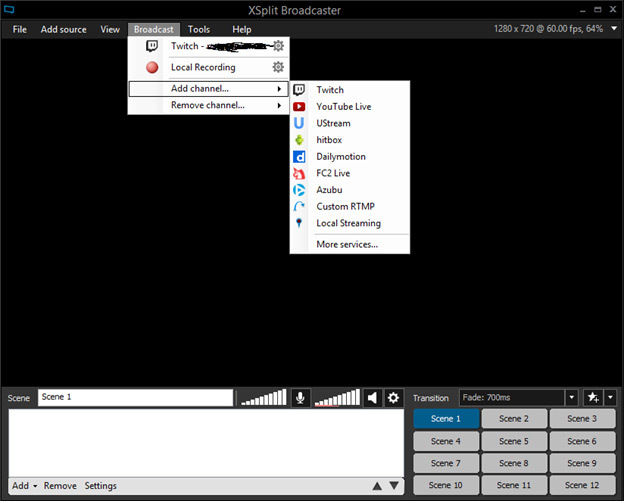 Now it’s time to set up XSplit Broadcaster – 10 simple steps to getting started streaming on Twitch! 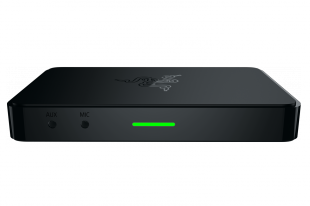 If instead, using the Razer Ripsaw with the paid-version of XSplit Gamecaster, see step 11 below. 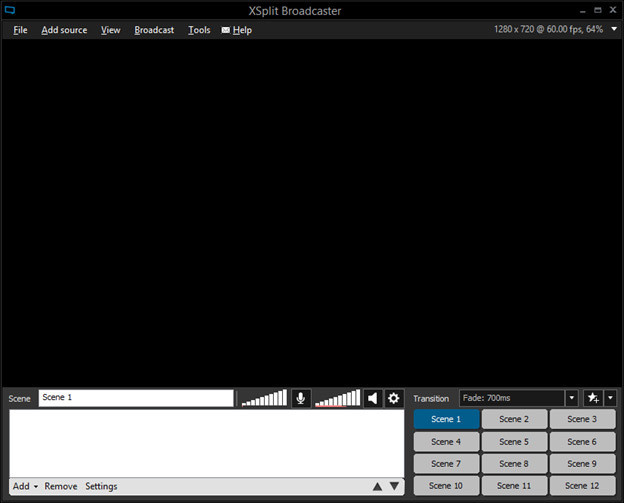 Download XSplit Broadcaster on your streaming machine. Go ahead and install it. Log in to your account, or make a brand new one. 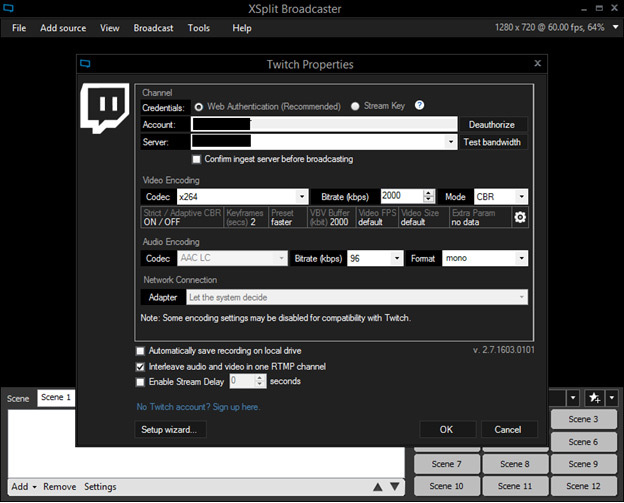 If it’s your first time using XSplit, it’ll ask you to authenticate to your live streaming service i.e. Twitch, or others. Go ahead and do that if you’ve already got a Twitch or similar such service set up. Otherwise click Skip to go ahead. Note: If you experience any frame drops or poor stream quality, try lowering the resolution from 1080p to 720p. Go to Broadcast > Add Channel > Choose your preferred platform. For the purposes of this guide, we’ll go with Twitch. 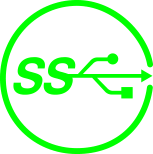 If you’ve got an account already, please Authorize it through the proper XSplit Broadcaster channels. Otherwise Skip Wizard. You should see "Twitch Properties". Bitrate: change this from 96 to 128 for better quality encoding (paid-version only feature). 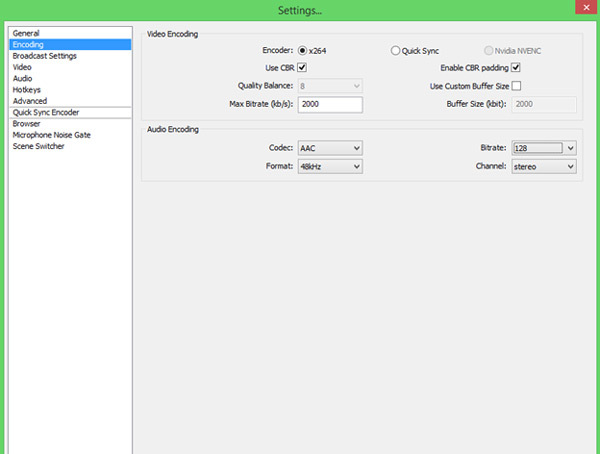 Click on the Settings cog icon for an advanced look at the video encoding settings. Most of the settings here can be kept as is. Encoder preset > generally “faster” is fine, but the rule of thumb is, if you have a slower processor, the faster the preset – so you can try superfast or ultrafast but stream quality will take a hit. This should be it! 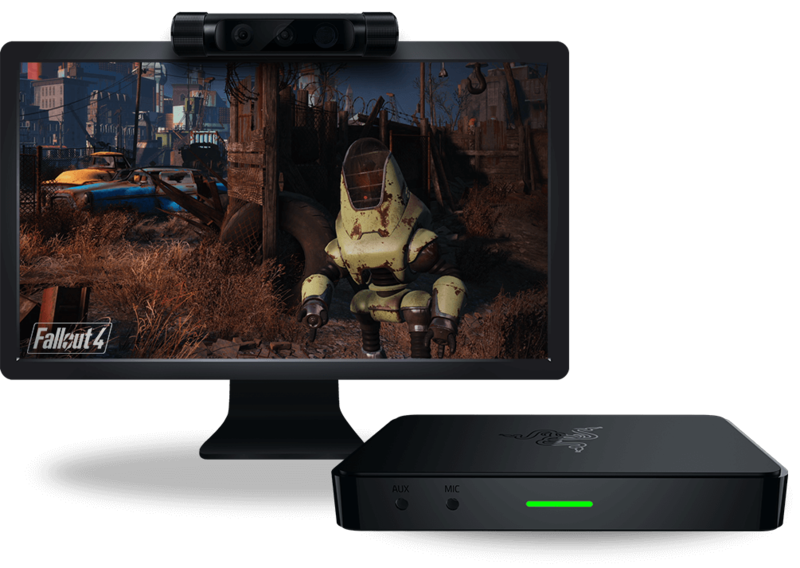 Now, all you’ve got to do is Broadcast > Twitch or your selected platform to get started. If you’re using the free version of XSplit Broadcaster, you’ll be asked if you want to stream in 30 FPS without watermark, or 60 FPS with (until you unlock). 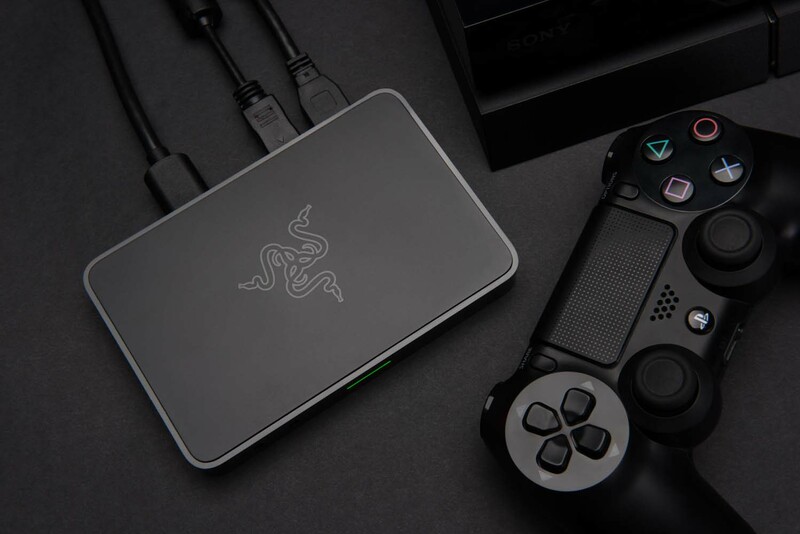 Select which you’ll prefer streaming with. Then, you’ll get a pop up when you’re confirmed LIVE! Using the Razer Ripsaw with XSplit Gamecaster is as easy as plugging it in and having it be detected by the software. But this only applies to the Paid Version of XSplit Gamecaster.